2 fantastic films, 1 amazing show. 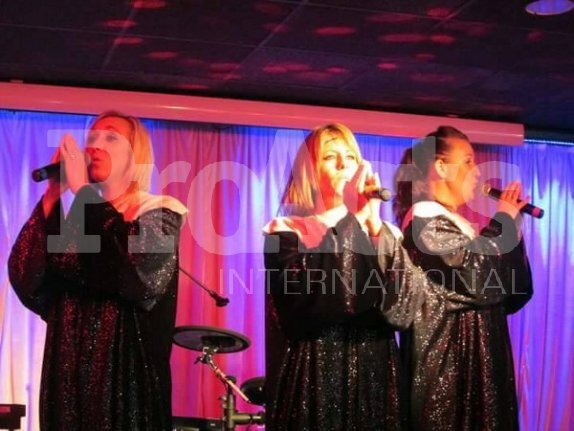 Sister Act - Are You Ready For A Miracle features 3 of Benidorm's top female singers. A high energy show with outstanding vocals. This shows roots have been in Benidorm and is now branching out to the uk and further afield. With a wealth of experience between them including television,radio,theatre and cruises there is no stage this show isn't suitable for. Reviews for this show have been 5☆ and repeat bookings are always a guarantee. For a fun filled evening with the feel good factor book Sister Act "are you ready for a miracle"